If you felt like you could relate to Saturday Night Live's genius legging sketch over the weekend, you'll appreciate the following tidbit. 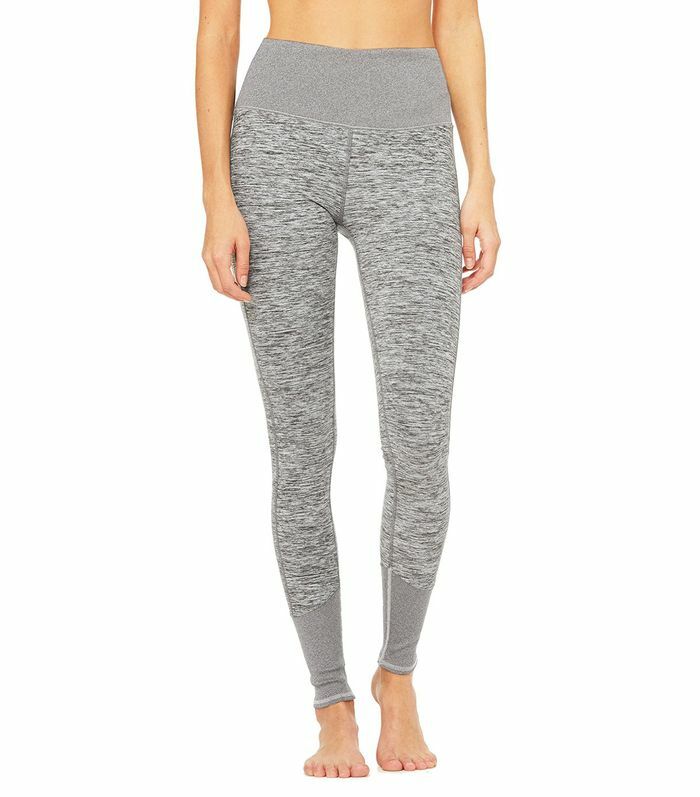 Purveyor of covetable leggings Alo just released an email listing its best-selling leggings right now, and the style coined Lounge Leggings immediately caught our eye. The leggings feature Alo's a flattering high-waisted rise (a signature of the brand) and ribbed detailing at the waistband and cuff. The item description states that they're "cut from [the brand's] softest performance fabric to date, Alosoft," they're antimicrobial, and they feature four-way stretch. Not only that, but they don't have side seams, which makes for an even more flattering fit. Sure, leggings are clearly a workout staple, but most would agree that their other main function (hence the SNL sketch) is providing comfort while still looking cool, and that's exactly what Alo's do. The jury is out, but these Lounge Leggings may do that better than any other pair on the market. Want to find out for yourself? Shop them below. (Good news, they come in four versatile hues, from light grey to black).